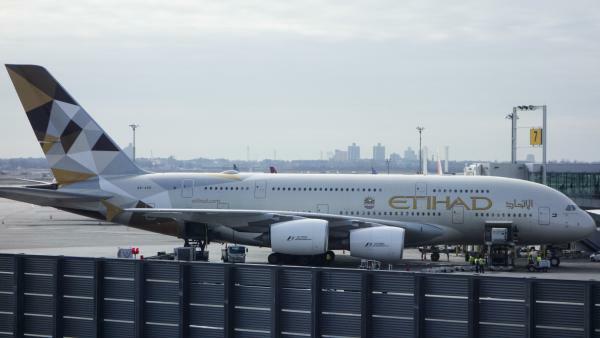 An Etihad Airways jet is parked at JFK International Airport in New York on Tuesday. Passengers traveling to the United States from 10 airports in eight Muslim-majority countries will have to check most electronics. The ban will affect flights on Royal Jordanian, EgyptAir, Turkish Airlines, Saudi Arabian Airlines, Kuwait Airways, Royal Air Maroc, Qatar Airways, Emirates and Etihad Airways. The Department of Homeland Security says: "Evaluated intelligence indicates that terrorist groups continue to target commercial aviation and are aggressively pursuing innovative methods to undertake their attacks, to include smuggling explosive devices in various consumer items." ... but why now? Is there new intelligence, or new analysis? Is there a specific threat? 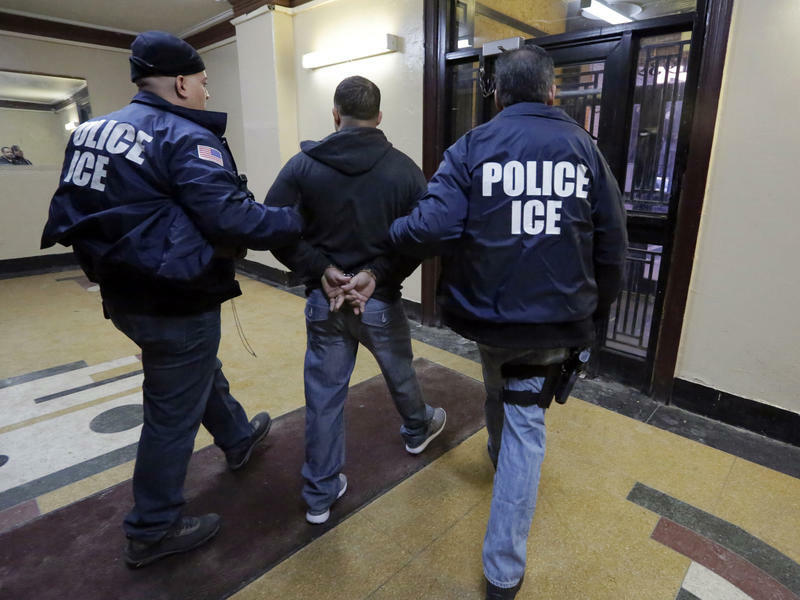 DHS has been tight-lipped about its motivations for the change. "It simply has to be based on some specific intelligence," security expert Bruce Schneier told NPR by email. "It's too focused on a particular tactic to be anything else." But DHS wouldn't confirm any specific threat or say whether it is drawing on newly discovered intelligence or a new analysis of existing intel; instead, it simply refers to "ongoing," "longstanding" and "continue[d]" threats. Given deep rivalries between Middle Eastern and U.S. carriers, some analysts have implied or outright alleged business interests are at play as well. The DHS restrictions will inconvenience some passengers but not hurt U.S. carriers, since they don't use those airports. That logic doesn't explain the U.K. rule, however, which affects both foreign carriers and British companies, including British Airways and EasyJet. Worth noting: This list of majority-Muslim countries has no overlap with the list in President Trump's much-discussed travel ban. The countries affected by the electronics policy are generally wealthier, generally stable and all traditional U.S. allies, NPR's Greg Myre says. ... but why those countries? The choice of affected flights to the U.S. is based on "evaluated intelligence" that "the threat exists at the 10 last point of departure airports," DHS says. That's why it doesn't cover flights to those countries, or flights from those countries with a connection elsewhere. But, again, officials have offered no details on that intelligence or that "threat," and there's no indication of why the U.K. would have a different list. The focus on individual airports could suggest possible concerns over screening or security procedures — security at the Cairo airport has come under scrutiny before, for instance. 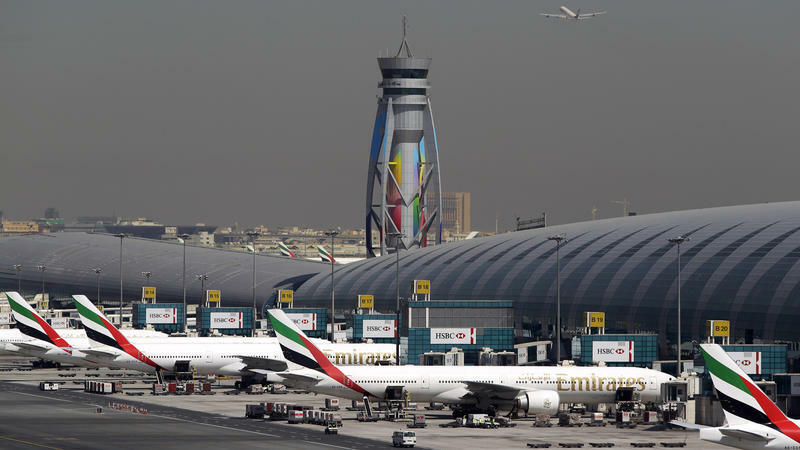 But the list also includes the Abu Dhabi airport, which is one of relatively few airports where U.S. Customs officials are stationed abroad to conduct pre-clearance inspections. And DHS, again, offered no details about any such concerns. Specifically, devices larger than smartphones — like laptops, tablets, e-readers, cameras, portable DVD players, "electronic game units" and travel printers or scanners. Medical devices will be allowed in cabins, after extra screening. ... but why electronic devices, specifically? You probably remember some previous airport security changes inspired by specific threats. The "shoe bomber" tried to set off a bomb, and passengers had to take off their shoes; authorities uncovered a plot to use liquid explosives, and the TSA banned liquids in carry-ons. It's not clear what may have inspired the change announced Tuesday. The agency does point to two recent attacks on airplanes — but only one involved a laptop packed with explosives. That failed attack, in Somalia, happened more than a year ago at an airport with no flights to the U.S. The other was the deadly downing of a Russian passenger jet over Egypt in 2015. ISIS claimed to have carried out that attack with a bomb inside a soda can, which some analysts call plausible. DHS noted the incident in a Q&A Tuesday but didn't suggest consumer electronics were involved. Checking the devices means they'll still be on the plane, just in a different location. Of course, this will frustrate some passengers. It's not just a question of having the devices handy for a lengthy flight. There's also the risk of expensive electronics being broken, lost or stolen while out of the passenger's control. ... so what exactly does that achieve? Analysts have a mixed view on what this policy — phones allowed in the cabin, other devices in the hold — would actually do. Nicholas Weaver, a computer scientist at the University of California, Berkeley, told The Guardian it was a "weird" way to promote security. "If you assume the attacker is interested in turning a laptop into a bomb, it would work just as well in the cargo hold," he told the British newspaper. "If you're worried about hacking, a cellphone is a computer." Others note that while a bomb in the cargo hold can bring down a plane, it's more challenging. "Forcing it in the plane's hold would make it much harder to detonate, since the terrorist has to design an automatic mechanism rather than doing it manually," Schneier told NPR. "Remember the crude techniques by the shoe and underwear bombers?" And if a bomb does go off, Wired reports that the cargo hold is a safer place — relatively speaking — for that to happen. Alternatively, moving electronics into checked baggage might allow more intense screening of the devices, as The Atlantic notes. At the risk of being repetitive: DHS has offered no details on what its rule is meant to prevent or ensure. DHS says airlines have 96 hours to put it into effect, as of Tuesday's 6 a.m. ET announcement. White House press secretary Sean Spicer, asked for the reason for the delayed implementation, said you need to give airlines an "opportunity to get those procedures in place." "I will tell you that implementing something of this nature in that time frame is pretty darn quick," he said. ... but how long will it be in place? It's not clear. DHS says the limits will be in place "until the threat changes." DHS and TSA "continue to evaluate our aviation security processes and policies," the department says, and "as threats change, so too will TSA's security requirements."